“Ladies and gentlemen, your attention please”. The young guide leads us through the hall of artifacts from human atrocities. There are instruments of torture to the left: an iron maiden, whips and racks. I pull Amelia closer, needing her warmth. To the right are weapons of war, mortars and mines. Dioramas show humans in pain, being burned, being skinned. At the far end we stop in front of an innocent device. The guide lowers her voice. We shiver as the guide moves a tentacle through her auburn hair. “Finally we had to save them from themselves”. 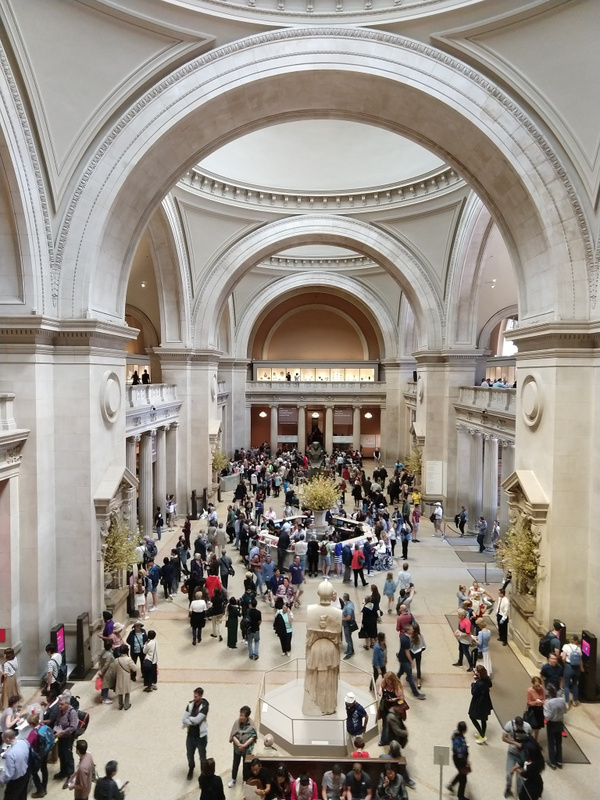 This picture took me to a future remodeled version of the Met. Maybe we will be saved in the end. Friday Fictioneers have redefined Friday to Wednesday, a great day to write Flash Fiction, great job with that Rochelle. 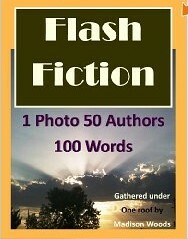 We all need inspirations to write and this community is the best for flash fiction. Double yiekes… but they seem to benign despite the tentacles. Never trust an alien with tentacles. Too much like snakes. Future shock I see? Do people all have tentacles there? Or we get overrun but those tentacled aliens. YIKES! I hope that isn’t what happens to us!! I do worry about everyone walking around with those things attached to our ears! The danger we hold so close! Oh, that was a great story! So unexpected – thanks for surprising me. Ha ha, what a great twist ending! And yes, many days I think we could use a little saving by the aliens! I have to ask: do you really believe this? Oh good. Was worried there for a second! I did some other changes to make it consistent… all is now written in present tense. It was the smartphone that did it. That I can understand. Wry one, Bjorn. All humanity enslaved by our own device. Ouch! I applaud your vision, Bjorn. I’ve been resisting buying a smartphone and now I know why. So true… so true. Smart Phones are unseen UFO invaders! Oh, boy! I love this story. From terror to TERROR! Wonderfully done. Let’s hope they started with Trump. The smartphone could only show his tweets in the end. You’ve written an ingenious take on the prompt, Bjorn. I really hope we don’t have to wait for aliens to save us. Our prominent music producer, Simon Cowell, announced this week he has dumped his smart phone. Mind you, I am sure he has an army of assistants with smart phones. This left me with a cold chill between my shoulder blades. Cell phones….a blessing and a curse. Well done, sir. I can see that we are enslaved by computers… just click accept. You give me the shivers! I love this, especially the tentacles in combination with auburn hair. I bet they look quite stunning, these benevolent Aliens. Great twist. Yep. That’s it. And so mankind is saved. That tentacle was a master touch! I was so sure the phones themselves would do us in. Excellent and chilling story and commentary. And I agree. Thank you for sharing! I have a blog tea party on the 3rd and I’m encouraging my blog readers to drop their link off on my posts. Would you care to share your world with us?